Visited tags' colors should not become blue on meta. Non-moderator tags of meta become blue when visited. In particular, this makes required tags and normal tags almost indistinguishable. It is reproducible on IE 8 and Firefox 4. The tags' colors should not change even if they are visited. This problem only appears on meta.math.SE, but not on the parent site (math.SE). 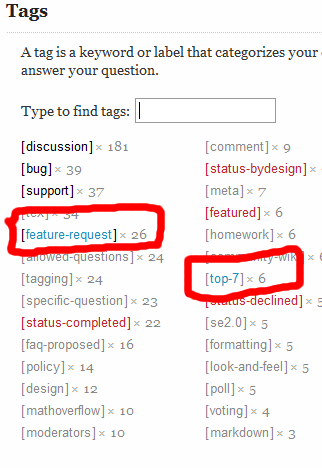 Browse other questions tagged bug status-completed design css . New design: should we have more contrast? Why are empty tags not going away?